An Ancient Solar System...: The Universe in 101 words: How much of the Universe can we see? The Universe in 101 words: How much of the Universe can we see? 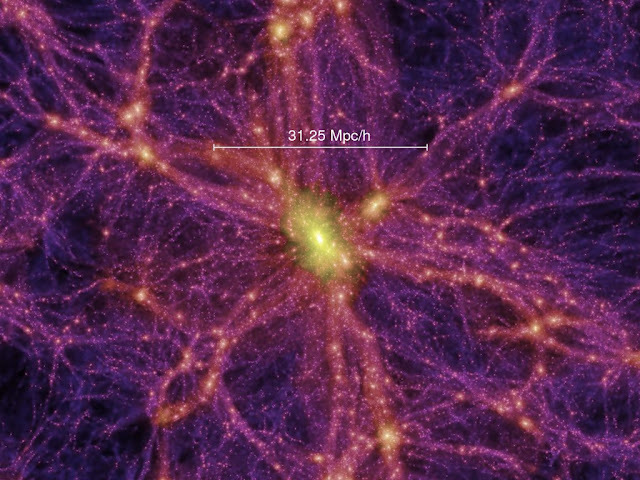 Above: A simulation of the distribution of matter in the universe after the expansion. Light only travels so fast, and the Universe is ‘only’ 14 billion years old. That creates a fundamental barrier to astronomy: We should only see things close enough for their light to have reached us. So are we limited to seeing a section of Universe 14 billion light years wide? Nope, that'd be far too simple: The Universe is expanding, and the young Universe actually expanded faster than light. So we see things further away than we should, as they were when they were closer than 14 billion light years. Thanks to this weird quirk of nature, our observable slice of Universe is, in effect, a staggering 46 billion light years wide. 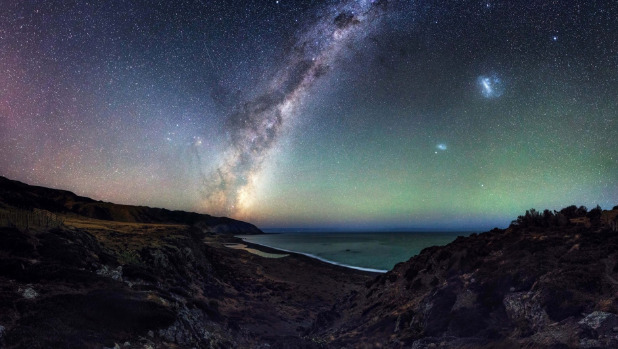 Above: The Milky Way rises above the horizon, with two of its companion galaxies: The Magellenic clouds.